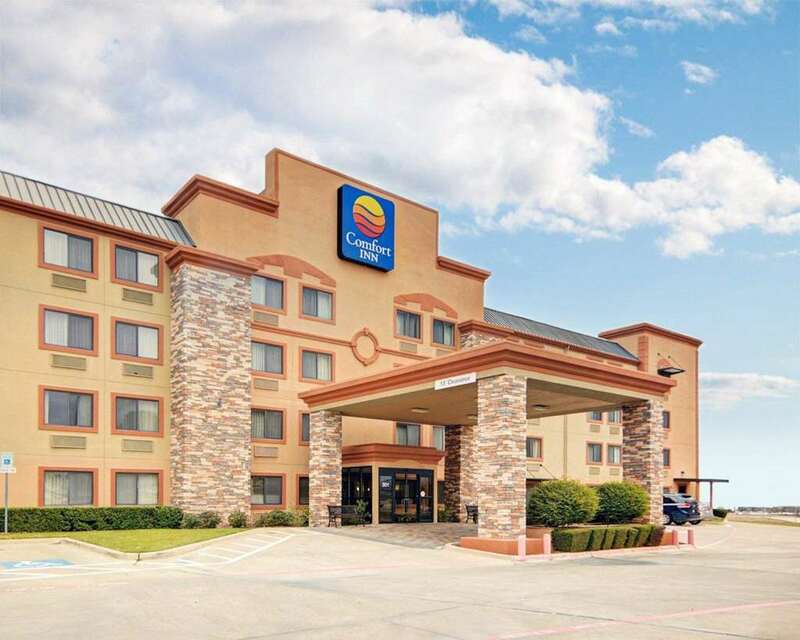 Feel rested and ready for anything when you stay at the smoke-free Comfort Inn hotel in Grapevine, TX. We are conveniently located mere minutes from the Grapevine Convention Center, Legoland Discovery Center, Baylor University Medical Center and DFW International Airport, to which we provide free transportation from 7 A.M.-11 A.M. Enjoy such amenities as free WiFi, free parking, free hot breakfast, meeting room, business and fitness centers and an outdoor pool. Behind every great day is a great night in your cozy guest room, which features a refrigerator, microwave, coffee maker, hair dryer and TV. Also, earn rewards including free nights and gift cards with our Choice Privileges Rewards program. Rested. Set. Go.